Find and compare the best prices from a range of well known car rental companies at Dubrovnik Airport. This is a free to use facility, enabeling you to book direct with the company quoting the price. 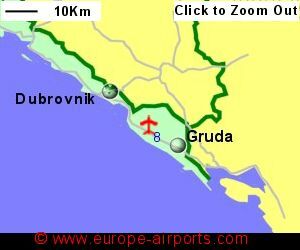 Dubrovnik Airport, otherwise known as Airport, is located 20Km from Dubrovnik, on the Adriatic coast, south west Croatia. Dubrovnik (a UNESCO World Heritage Site) is a tranquil historic city hosting many musical, art and theatre events year round. The terminal at Dubrovnik has been undergoing considerable reconstruction, the present work scheduled for completion 2019. A bus service links the airport with Dubrovnik city, timed for all scheduled flights costing 40 Kuna (approximately 4 Pounds) for the 20km journey, and taxis are available. Dubrovnik airport has 2 cafes, 3 shops, bank, currency exchange, business lounge, and VIP lounge. 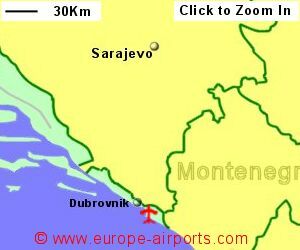 Dubrovnik airport has Airport Carbon Accreditation, at the Mapping level. 2.3 million passengers passed through Dubrovnik airport in 2017, a 16% increase compared to the previous year. Dubrovnik airport is the third busiest in Croatia, just behind Split.